When I walk into a house where I have never been before, it takes some time to get used to the new surroundings. I am usually very careful not to knock anything over and to do my best not to do anything that would offend the house owner. However, when I walk into my own house, where our family has lived for many years, I am very comfortable with my surroundings. My wife and I travel quite a bit and there is no feeling like coming in the front door of our home after a lengthy trip and seeing familiar surroundings. The first thing I do is kick off my shoes and relax! In today's promise, we read that we are no longer strangers and foreigners, but we are fellow citizens with God's people and we are members of His own household. Not only do we have full access to God's house, it is our house too! It is a safe place where He wants us to be comfortable and relaxed. It is a place where we can feel like we truly belong! My prayer today is that each and every one of us would know that there is a special place in our Father's house (heart) for us. 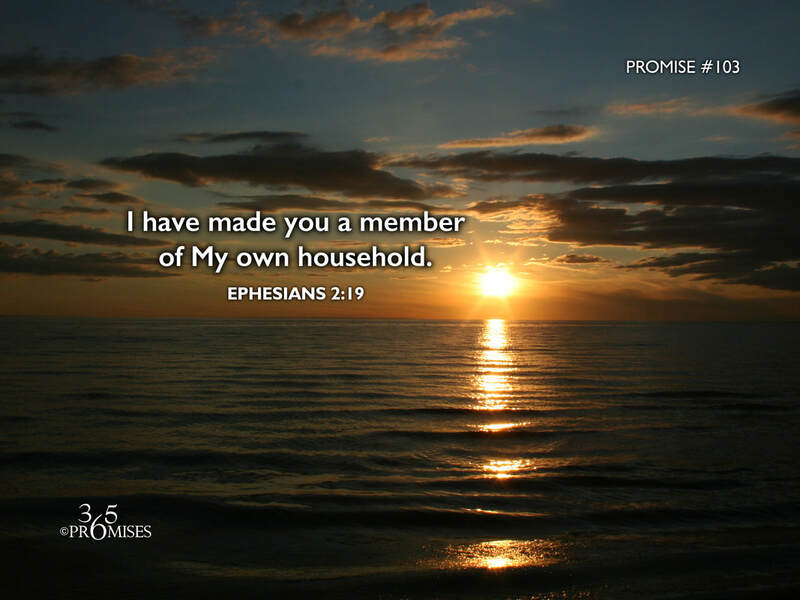 We are not strangers looking through a window on the outside, but we are joint heirs with Jesus, having full run of God's house.